God in the Shadows: Ministering to those with Depression. The Board of Mission in Ireland Panel on Healing held a morning conference in November 2013 when this subject was addressed by Dr Lena Morrow. The talks are avialble on CD and can be purchased from the BMI Office, Assembly Building's Belfast for £5 including postage and packing. 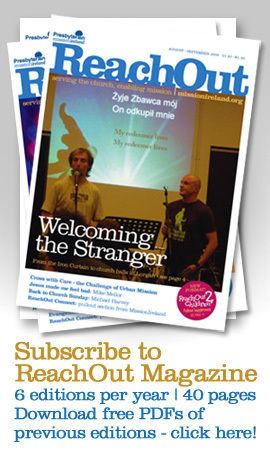 Latest resource from Mission in Ireland. Knowing how to minister to those who suffer from dementia is an important pastoral skill. Dr Morris will give a presentation on how we can more effectively minister to such people. There will be opportunity to ask questions and for discussion.